My personal blog is named Calico Trails: “Calico” to honor our pioneer women and “Trails” to capture the flavor of the pioneer and cowboy era. So, of course I wanted to know more about the origin of calico. Many of you are probably familiar with the fact that pioneer women preferred calico to make dresses, curtains, quilts, and shirts for their menfolk. But where did the name calico come from? And why was it so popular with the pioneers? Calico is a coarse brightly printed cotton fabric generally printed with two-color patterns. The cloth is usually woven in the gray (natural) color, then bleached, dyed, and printed. The background color, if any is desired, is dyed into the cloth, then the design pattern is stamped on with wooden blocks in different colors, or in a more sophisticated method, using a revolving cylinder where the design has been cut. How often the pattern repeats itself on a piece of cloth depends on the diameter of the wooden block or cylinder. The intricate carving below is of a wooden block used to stamp cloth in the 1900s in India. The detail in the stamp is stunning in and of itself. History says that calico originated as a fine weave in Kozhikode, also called Calicut, in southwestern India. Europe saw the earliest imports of calicoes during the Renaissance, and later Europeand and American textile mills began manufacturing their own versions of the hardy material. Calico fabrics range from fairly fine and sheer to coarse, stronger textures that would have been the preferred choice for pioneers. The sturdiness helped the cloth to hold up to long, hard wear, something that was sorely needed when money was hard to come by, not to mention the fact it might be hundreds of miles to the nearest store that might carry a few bolts of cloth. But many young ladies also coveted the soft, fine textured calico (sometimes called muslin and/or muslin gauze) for a special dress to draw the eye of some rugged cowboy at the next box social. The terminology became a bit muddied when the cloth crossed the pond to America. In the UK, Australia, and New Zealand, the term calico generally refers to the simple, cheap weave of the fabric in white or off-white unbleached cotton. In other words, the cloth itself. In America, the term became synonymous with the small, all-over floral design printed on the fabric. To the right is an example of blue sprigged calico available from a company called Recollections in Hawks, MI. I haven't actually ordered anything from them, but their styles are lovely and look very authentic to the time periods portrayed. The Industrial Revolution and mass production of the cloth contributed to its popularity among pioneer women. Here's part of Recollections description of the Red Calico dress on the left: A lovely cotton calico day dress for an afternoon stroll or picnic with friends. Delightful dress has high collar to frame the face and our classic flattering "V" cut. 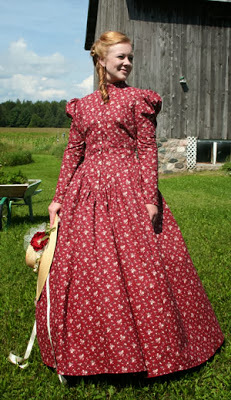 Dress has long leg-o-mutton sleeves and full skirt (about 130" at hem) with pockets. Your choice of skirt length: boot length 35" or floor length 40". Front button closure. In a variety of calico prints. Designed and made proudly by Recollections in America! 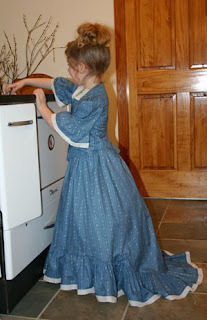 And simply for the adorable factor, here's a girl’s Calico dress, also made by Recollections. Now, how cute is that? I feel the sudden need for a calico dress! How about you? You are so right about what we call Calico in Australia it is the unbleached or bleached material often used in quilting. its often used for signature quilts etc. We have what we call autograph bears where you can get the bear autograph they are made by calico. When I came to america I got people to sign a piece of calico to add to a memory quilt. (when we get around to making it). Love the info on American calico. I learnt something today. Jenny, I'm so glad you confirmed that my research was spot on! I too thought that was interesting that Americans think of the pattern on the cloth when talking of calico, but the original meaning is the cloth itself. So glad you explained it a bit further too. Because if you had just said that you had people sign a piece of calico without explaining that it's unbleached/bleached cotton, I would (as an American) automatically think of the printed calico cloth. Generally, I would refer to the cotton you had signed as "unbleached cotton" or "quilt backing". I'm not a quilter, though, so there might be a more universal term for it used here in the states. I've never really thought about how calico was made. This was interesting. Do you know if it was still stamped in the late 1800s or was it more "modernized" in production? Vickie, dependent on the geographical location, the availability of modernized equipment, and the industrial revolution, you'd get various types. 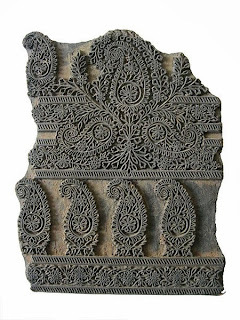 Cottage industries used the wooden block stamp method well into the 1800-1900s, but innovative manufacturers who wanted to mass produce and could afford to upgrade would certainly install some kind of roller-type stamp to automate the process. If you click on the Tulip and Willow caption above, it takes you to some very interesting reading about printing/stamping. Some cottage industries are still making traditional calico in this manner even today. Wonderful post, Pam. Thanks for the great information on textiles. I have always thought of the women's dresses of the old west days when I think of or see calico. Thank you for an interesting post. Me too, Melanie! I was surprised to find out that the word calico originally had a different meaning. Remember that game we used to play where you whisper a word in one person's ear, then it does on down the line until the last person has to say the word out loud? This reminds me of that game. What a delightful post! I've loved calico and the dresses made of it ever since becoming enamored with Laura Ingalls and her stories as a little girl. And yes, I must say those pictures make me want one! 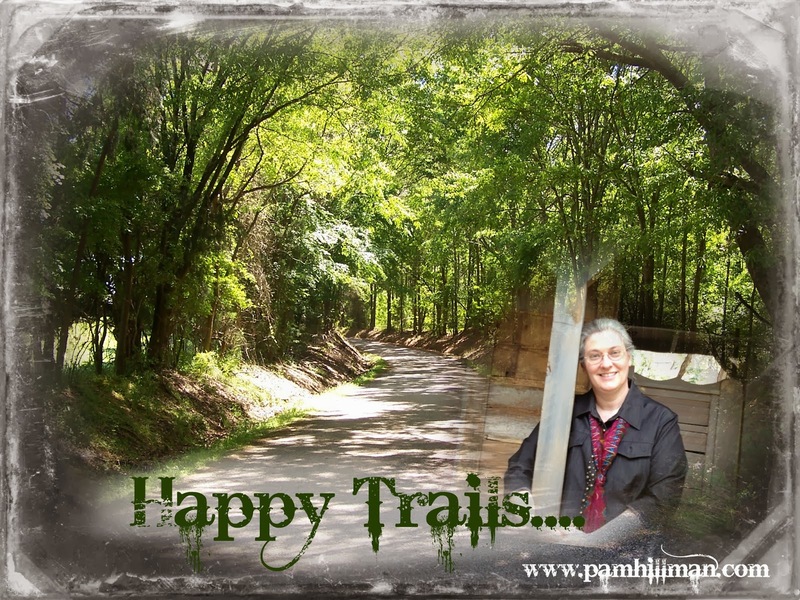 :) Thanks for sharing with us, Pam. Little House on the Prairie is still a favorite, Kiersti. Won't we be spiffy with our new calico dresses? Thank you for sharing this wonderful history of calico! It certainly symbolizes pioneer women to me. My grandmother used to keep the 50# bags flour came in to use for clothes. I remember seeing the material laid out and thought it was pretty - little floral designs. But when I touched it, it was so rough and heavy, I couldn't imagine wearing it. After reading your post, I believe it must have been calico, because it would have held up under many washings, but oh, how uncomfortable and scratchy it would have been! I was too young to remember her using the material, but my older brothers told me she used to make sunbonnets out of it, and I vaguely remember seeing those. Oh, Marilyn, I forgot about the floor sacks! Yes, my grandmothers made a LOT of clothes and heavy quilts using floor sacks. I think some of the old quilts my mother has even has some of the manufacturer's name on them. Oh I love those dresses! Yes, I was born in the wrong time period. :) I have always been confused as to whether calico was the fabric or the design on it. Now I know it was both. Hmmm, wonder if my daughters would wear those kinds of dresses? I knew nothing about calico, except the name, & really enjoyed your post - Pam! Thanks! Sharon! So glad to have you as a reader! :) And thank yo SO much for the review. I am going to be making a dress for volunteering at a living log cabin village museum. 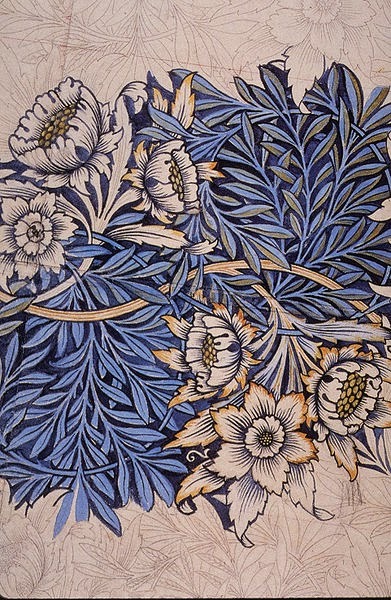 I am trying to locate what calico pattern designs would look like for the 1860's. I am having a dickens of a time finding information. Can you direct me to a reference? When I was making pioneer dresses for our Christmas program several years ago, I couldn't find any calico, but found some wonderful cotton prints at JoAnn fabrics and Hobby Lobby fabrics. (Wal-Mart had some good ones then, but most stores don't carry fabric any longer) The pattern I used suggested a small floral print. I noticed prints like this still at JoAnn Fabrics last week. I used a white with tiny blue flowers, a red with little yellow flowers, and a yellow with green design. They looked very authentic when made up. In fact, one of them looked very much like the red one in the picture Debbie used. I added a bit of lace and black velvet bow at the neck for a dressier look for church. The blue on white one had a lace trim on the sleeves like the one in the picture, too. Rubberduckiemom, cotton fabric, in most any color, that has a tiny flower print on it would look authentic for calico in the 1860s. I agree with Martha and Lena. 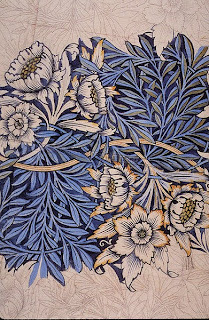 Almost any tiny floral print, with a blue, yellow or red background would be authentic and would hold up nicely. I'd go with the darker color background (blue or red) so that dirt and grime doesn't show as much. Also consider the quality of the cotton you buy. You're going to have a LOT of cloth to iron, so you'll want to be sure it's going to look nice and not be a wrinkled mess when washed. You ladies are awesome!!! Thank you so much for your help.